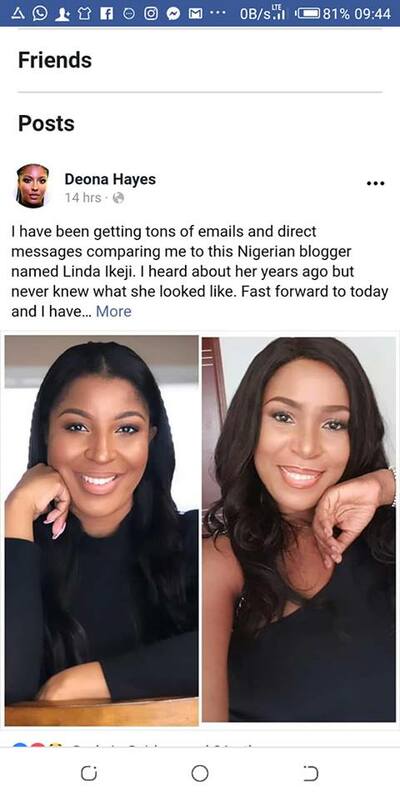 A Sacramento, California, USA based lady has reacted after being compared to Nigerian celebrity blogger, Linda Ikeji, due to their striking resemblance. 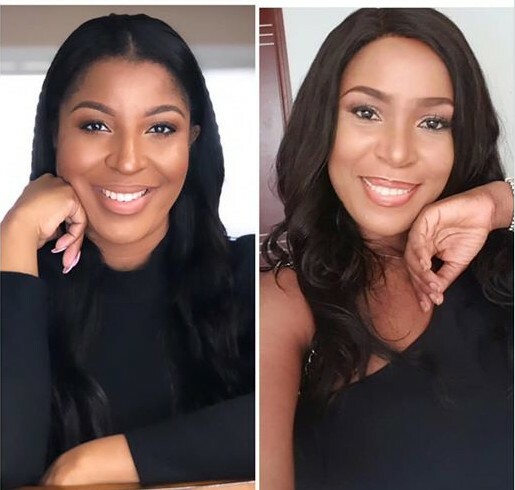 The pretty lady identified as Deona Hayes, revealed that she's honored to be compared with Linda whom she labelled a smart and beautiful woman. She also revealed that she has been getting many emails and messages as regards to the issue. Below is what she shared on Facebook yesterday. I have been getting tons of emails and direct messages comparing me to this Nigerian blogger named Linda Ikeji. I heard about her years ago but never knew what she looked like. Fast forward to today and I have to admit I do see the resemblance! This woman is smart and beautiful! She has launched her own monthly subscription streaming app and continues to break down barriers for women of color in the business world. I am flattered to be compared to such a Queen! Thank you!